Since 2010 the brothers in East Timor are an independent region. At the moment there are four communities. The eastern part of this large island has been part of Indonesia since 1975, after having been a colony of Portugal for 450 years. Timor Leste has been severely affected by the independence struggle in the economic sphere. It is currently one of the poorest countries in the world. 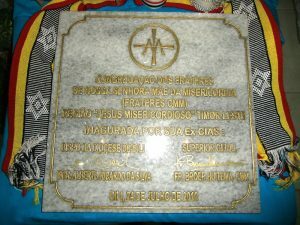 Since 1988 the Brothers CMM are present in Timor Leste. Initially, the communities were administered by the Indonesian CMM province, but since 2010, Timor Leste has become an independent CMM region. 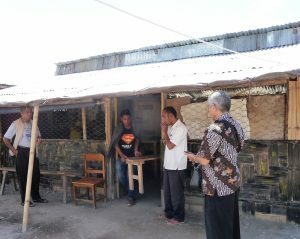 The congregation currently has four communities in Timor Leste: in Dili, in Gleno and two communities in Suai. The regional board is housed at the community in the capital Dili. Currently there are about 20 brothers who are from Timor Leste. Most of them are still in formation. For their religious formation and their professional education, they are largely depended on Indonesia and Brazil. In Timor Leste there is a fairly large number of vocations. However, the congregation has hardly any projects of their own. During the past 25 years, the brothers have mostly worked in organizations of others, primarily in education. Because most of these brothers are still in training, the apostolic activities are still few. One of the places where the brothers in Timor Leste are working is in Dili, in the suburb of Becora. They work in the parish school ‘Hati Kudus’, a junior and senior high school (SMP and SMA). In Suai the brothers work at a hostel, which is owned by the Jesuits, but run by the Brothers CMM. The boys who live here go to nearby schools. For many families in Timor Leste there is no suitable school in the neighbourhood. The hostel offers the opportunity to follow good education at a school which is further away. 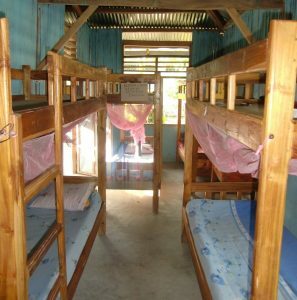 Schools with a hostel have a good reputation because the pupils also receive homework guidance after school hours, and can participate in music lessons and sports activities. The brothers guide the young people on their way to independence and personal responsibility. A positive development is that at the expense of the government, a new school was built in Gleno, for secondary vocational education. This school is run by the brothers. After acquisition of the land, the buildings are transferred to the congregation. The great wish of the region is to start its own secondary school in Hera. The negotiations about this are still going on. Realization of such a project, however, requires major financial efforts. 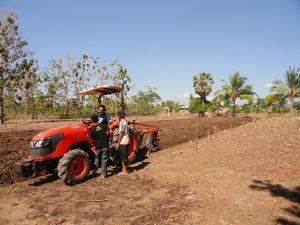 In 2012, the brothers in Suai took over an agricultural project from the Jesuits. It has a strong connection with Caritas Australia. The purpose of this agricultural project is to bring the agricultural activities in that region to a higher level. It is aimed at the poor and therefore fits well in the mission of mercy.